No, not teeth, currants! 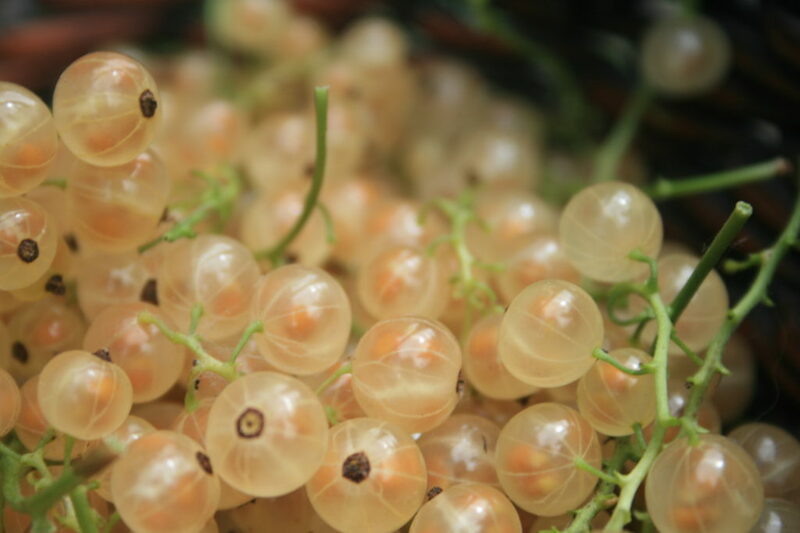 Yes, white currants! I ordered this gem from One Green World. Their catalogue is a siren call I can’t resist… page, after page, there are so many beautiful fruits in the world! And, I can actually grow some of it in Minnesota! I keep thinking I have more space than I really do on this city lot. The variety I grow is called White Pearl. I am in love with this translucent, blush-colored fruit! 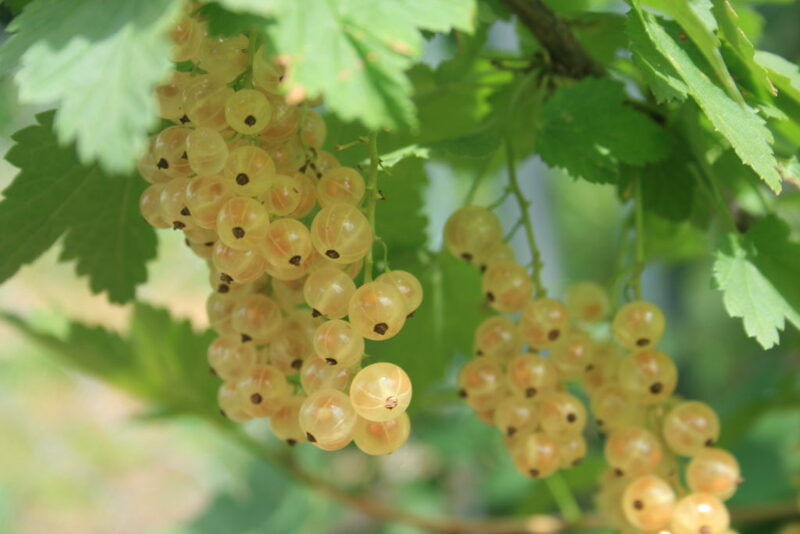 Clusters of currants drape from the branches like heavy pendants, gleaming in the sunshine, and beckoning grazers. When you pop a juicy handful in your mouth, you’re sure to pucker. 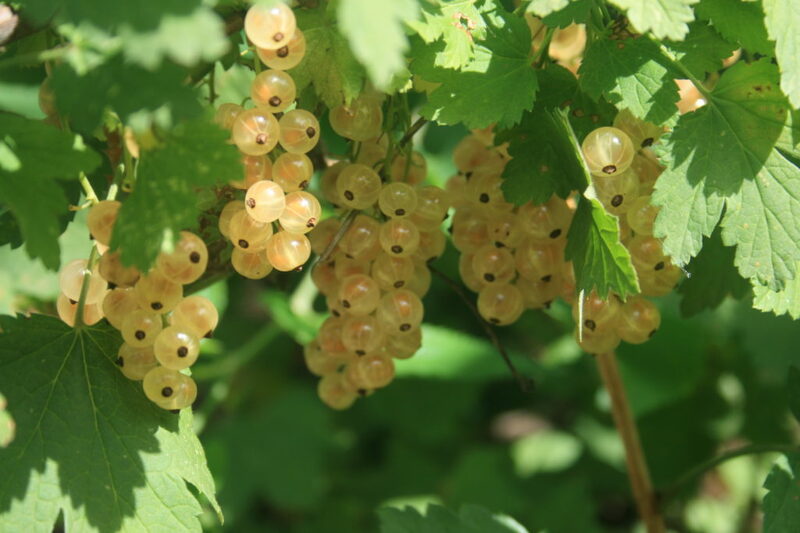 These are still currants after all! 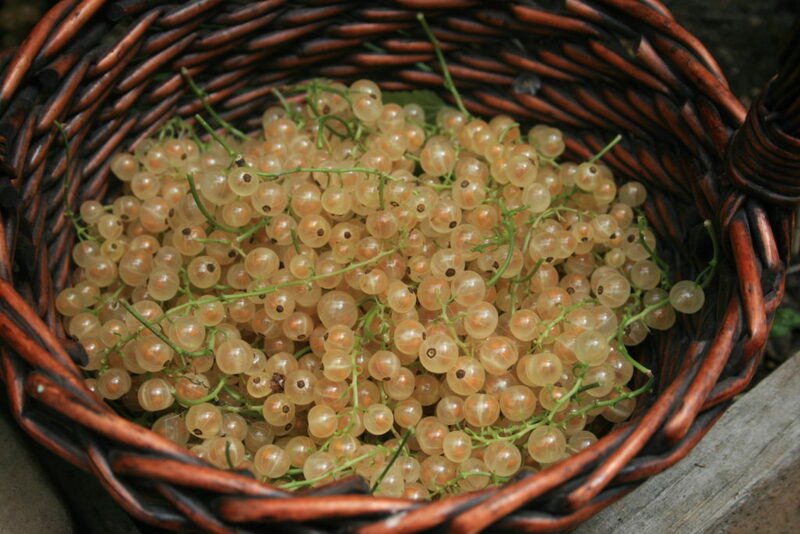 I like to wait until all the currants are ripe, then harvest each cluster in its entirety. Harvesting is less tedious this way, and snacking is made easy. Well, we had our share of snacking, and I brought a basketful to a gathering. With still more left, I had to brainstorm what to do with currants?? 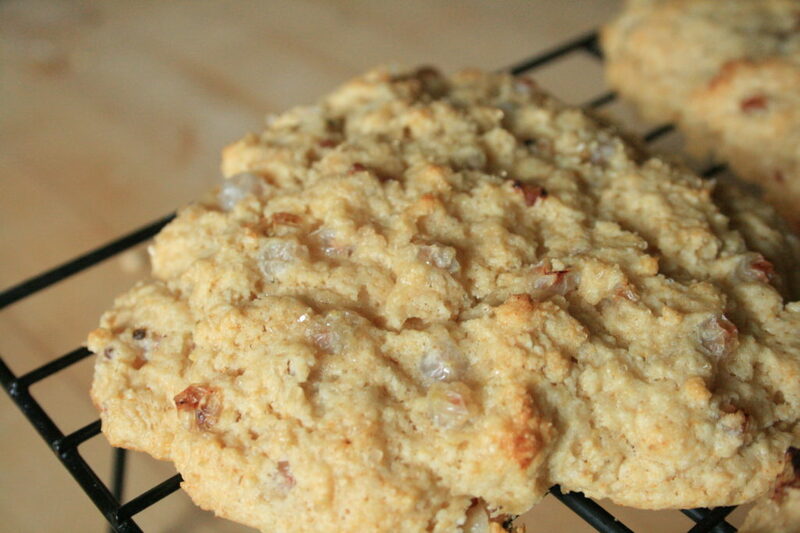 Then, I remembered my go-to scone recipe. Yes, it was a match! Warm, buttery scones with juicy bursts of tart currants. Yum. 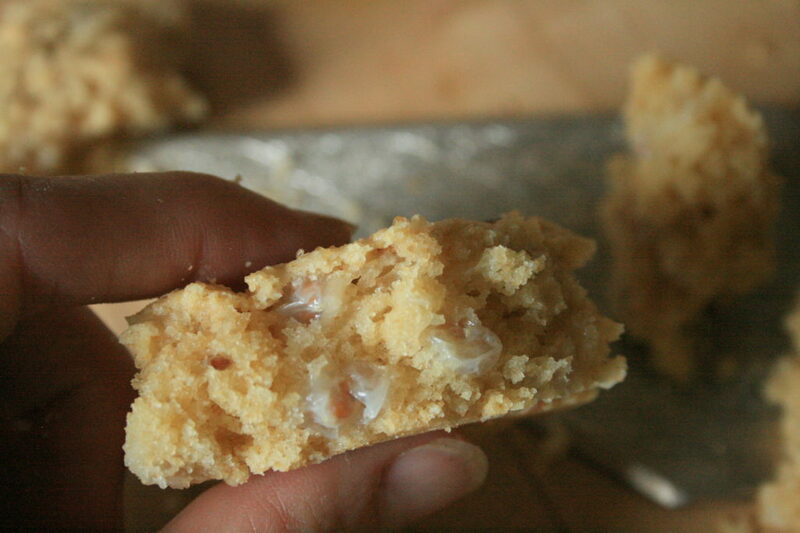 Cut butter into dry ingredients until evenly distributed and mixture is crumbly. Fold the currants into the mixture. Make a hole in the center of the mixture, pour in buttermilk. Stir just until combined. Turn mixture onto floured surface and shape into a disk about 8 inches across. Cut into 6-8 wedges, depending how large you like your scones. 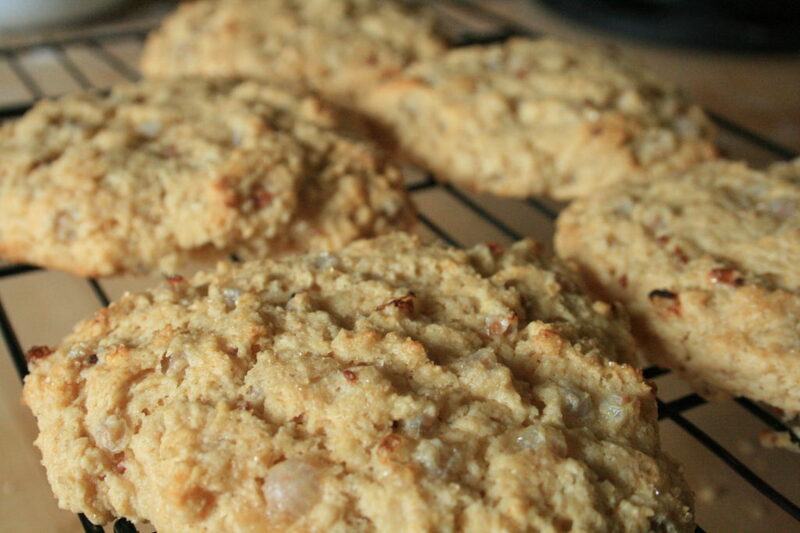 Place wedges on a buttered baking sheet, keeping plenty of distance between as these really puff up! Bake 10-15 minutes or until golden and cooked through. Hi! I saw you on Soulemama and decided to check you out. I love your site! I am in the middle of picking black currants – so far have 4 quarts of juice and am planning on jelly-canning this weekend. It’s my hubby and my son’s fave. I am going to try your scones, too! Thanks for the idea!! oh black currant jelly must be so beautiful! Juice is also a great idea! Thanks for sharing and stopping by! I love to hear from people when they do!